Worn, warped or badly scored rotors reduce your braking power and safety. Replace the front brake rotors on your Jeep Grand Cherokee with genuine Mopar factory parts and restore your Jeep's braking power to like-new. 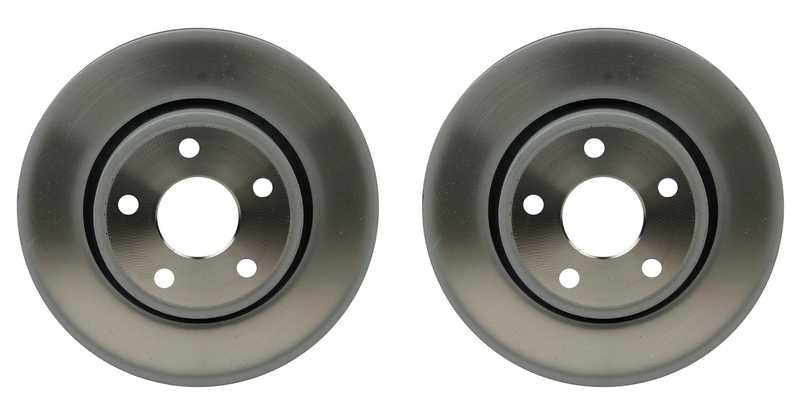 Choose item # 52124762AC for the BRY brake system or item # 68035012AD for the BR6 or BR1 brake systems. These front brake rotors are sold in pairs. Please select your Jeep's brake system above. WIll not fit the SRT8 or Trackhawk. If you're not sure which brake system your Grand Cherokee has, contact us with the VIN and we'll look it up for you to make sure you get the right brake parts.